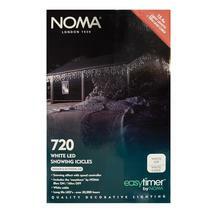 Create a magical snowing effect under your roof eaves with easy to fit LED icicles. Create a delightful snowy effect under the eaves of your house with these lovely snowing icicle lights. 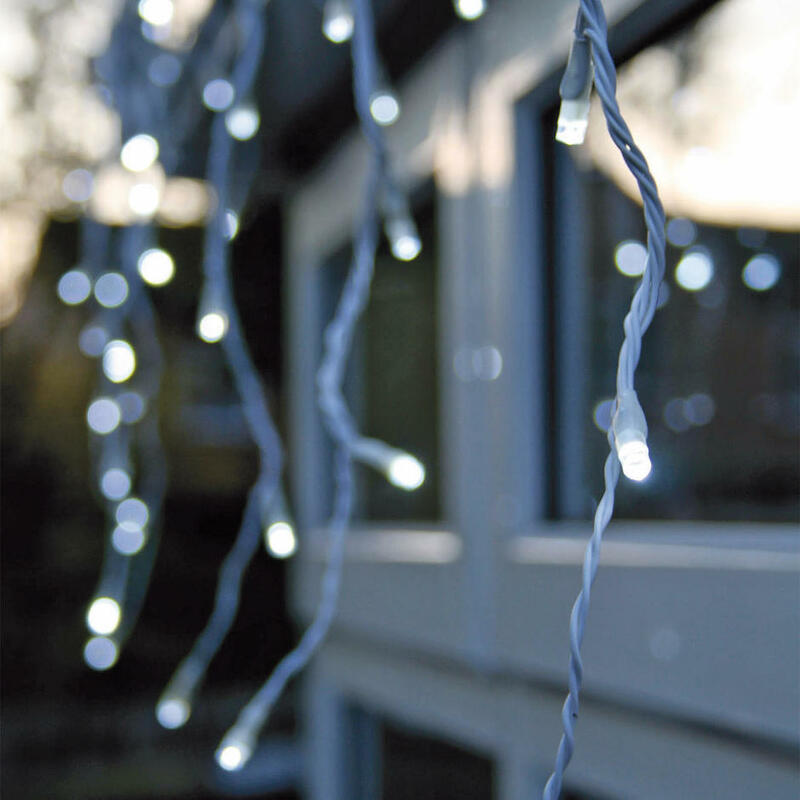 Choose from 2 lengths, either 480 LED icicle lights or 720 icicle lights. 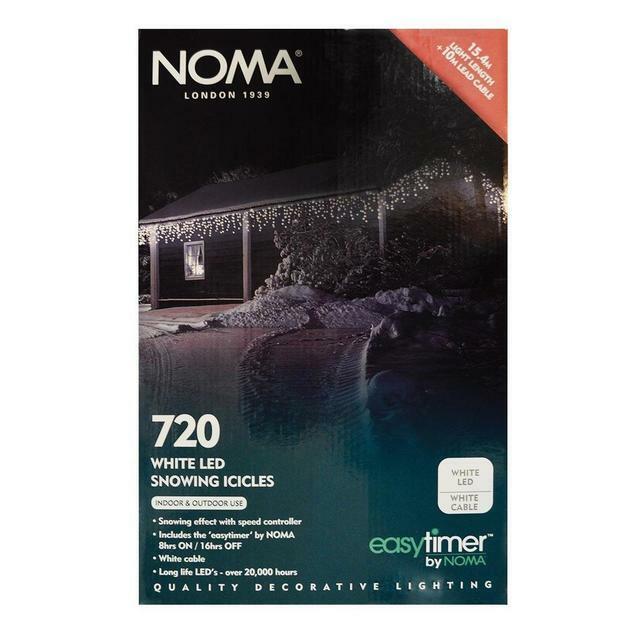 These snowing effect LED white lights have a speed controller, so you can adjust your icicle lights from slow snowing through to fast snowing or, if you prefer, steady on. The lights have an easy timer function, with an '8 hours on 16 hours off' function. 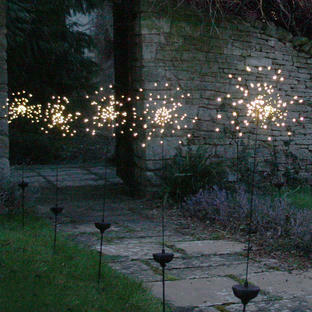 The 480 icicles are on a 20.2 metre white cable, of which 10.2 metres are lit with icicles. The 720 icicles are on a 25.4 metre white cable, of which 15.4 metres are lit with icicles. 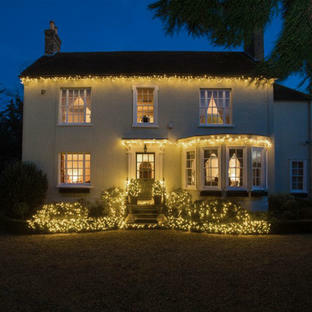 There is 10 metres of cable to your first icicle light on both sizes. The transformer needs to be plugged inside. 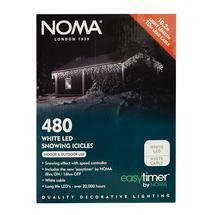 A pack of clear gutter clips are included with the icicle light sets. 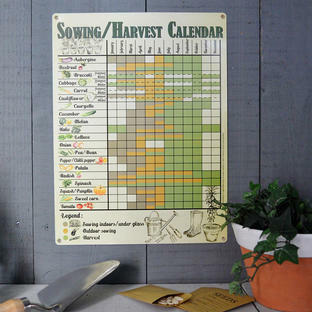 Suitable for use inside or outside.